Gap Inc is celebrating their birthday today with a huge discount! 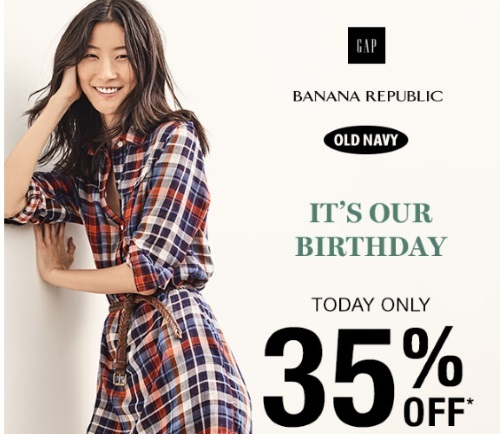 Save 35% off your order with Gap, Old Navy and Banana Republic! Enter the promo code HAPPY at checkout online. Offer is valid today only, August 21, 2016. Exclusions apply. Click here to browse Gap, Old Navy and Banana Republic.